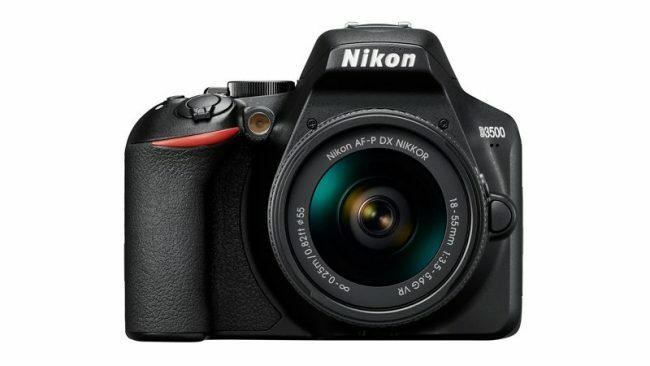 Nikon on Thursday announced the release of its new entry-level digital SLR camera, the Nikon D3500. The camera features an effective pixel count of 24.2-megapixels and comes with a Nikon DX-format CMOS sensor. Nikon’s D3500 replaces the D3400 and even though internally it doesn’t bring much to the table, the camera is more portable than its predecessor. The Nikon D3500 includes an Expeed image processor and offers a native ISO range of 100-25600 along with an 11-point autofocus system. The camera comes with a special ‘Guide Mode’ which makes it easy for beginners to get started. It includes a pop-up flash and full HD 1080p video recording in 60fps (frames per second). The camera comes with a 3-inch LCD screen. One of the biggest differences between the D3500 and its predecessor is the lightweight design and a new user interface that makes it easier for beginners. The most commonly used control buttons are placed on the right-hand side of the camera’s LCD display. The D3500’s design is nearly identical to that of the D5600 with a few changes. Users can automatically transfer their photos using the SnapBridge app and a Bluetooth connection. The app enables a constant connection between the devices so that all the photos captured on the camera can be quickly transferred to a compatible device. Nikon promises an increased battery life with approximately 1,550 shots on a single charge. Meanwhile, the D3400 was capable of taking around 1,200 shots per single charge. The Nikon D3500 offers an easy interface for new DSLR users to get into some serious photography. The company claims the camera is both lightweight and extremely easy to use. The built-in sharing options also make it simpler to share photos directly from the camera. The camera will be available from September 20 globally. The Nikon D3500 is priced at $499.95 (roughly Rs. 35,200) with 18-55mm VR lens kit and at $849.95 (roughly Rs. 59,900) with two lens kits consisting of 18-55mm and 70-300mm lens.